Could a little knowledge of code improve your design workflow? Toptal is pleased to present a workshop for designers who wish to adopt coding as a tool for prototyping. Join us May 26, 10:00am to 1:00pm at Workstation. 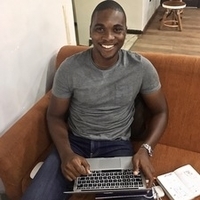 Ugo Ifezue, a Toptal designer, will lead this session. He will share his experience working as a product designer who is proficient at HTML and CSS. Then, he will lead a discussion on how to set up an ideal workflow, including tactics such as versioning sketch files and creating libraries with tools like Abstract and Plant. Please RSVP on this page to give us an accurate headcount. For questions regarding this event, please contact the event organizer. Your message to Ugo was sent.